Testimonials & Reviews - Pinehurst, NC: Pinehurst Family Care Center, P.A. Pinehurst Family Care Center, P.A. always appreciates feedback from our valued patients. To date, we're thrilled to have collected 5 reviews with an average rating of 4.6 out of 5 stars. 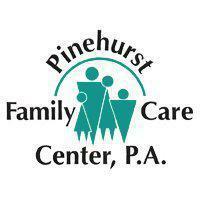 Please read what others are saying about Pinehurst Family Care Center, P.A. below, and as always, we would love to collect your feedback. Jessica made me feel relaxed and at ease when asking questions. She listened to what I was saying and made her recommendations tailored to my personal views of taking medication over diet changes. Jessica made several recommendations and went over the pros and cons of those recommendations. If you are new to the area or looking for a new provider, I would highly recommend you set up an appointment with Jessica. Jessica was ver friendly and thorough. She took the time to answer all my questions and explain them where I could understand. by BERNARD KOSCIELNIAK on 10/12/2017 Review for Pinehurst Family Care Center As always, the attention at Pinehurst Family Care is excellent. From the time I get there, until I leave it is seamless. The staff is awesome. Very friendly and attentive. Mrs. Phillips is highly knowledgeable and experienced. I would recommend her and this practice over any other in the area.